– All these foolish doctors wasting millions of dollars on insomnia research. All these insomniacs polluting their bodies with pills to help them sleep at night. 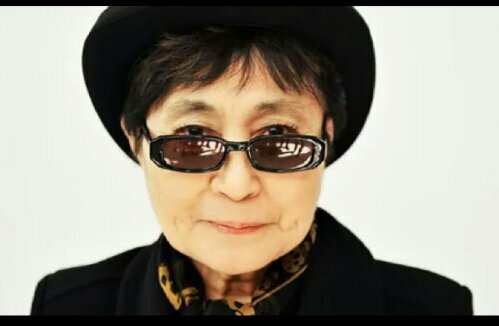 Should’ve listened to Yoko. Can’t sleep? Step 1: walk until you feel like dancing. Step 2: dance. I guarantee you’ll get the best sleep of your life. But remember, this is a two step process. You can’t just walk until you feel like dancing and stop. You won’t sleep. You may be asking yourself: “self, what if I just start dancing without walking first?” Sorry charlie, get ready for a restless night. Another week in the books, two more lessons learned from Yoko Ono. Her knowledge is just like the sky: endless. P.S. With advice like this, she should change her name to Yoko OhNo! right? Right? I need a drink. Posted on July 12, 2013, in Average Blog Posts and tagged dance, dancing, ice, Sky, sleep, snow, The Beatles, Yoko Ono. Bookmark the permalink. Leave a comment.